Steven Brooks is a retail energy expert. He is a private consultant specializing in retail energy solutions. An expert in the needs of alternative energy in the retail energy environment, including hydrogen, CNG, LPG, E85, Bio Diesel and many more. A highly accomplished retail operations leader, Steven has a 15+ year track record of building ROI, establishing market presence and developing locations. Having earned his MBA, he possesses a keen ability to evaluate business needs, analyzing and interpreting financial data to optimize operational efficiencies and find solutions to complex business problems. Steven has conducted business with some of the biggest energy companies, including Shell Oil, ExxonMobil, Chevron, Valero, and many more. He has knowledge and relationships with several equipment and software manufacturers, including Dresser Wayne, Gilbarco Veeder-Root, Fujitsu, Verifone, and many more. Steven has conducted business with many different companies in the business, including RYKO, Subway, Hot Stuff Foods, TCBY, Blimpie, 7-Eleven, GasTV, and many more. Steven has extensive experience in developing and running retail operations detailed as follows: land acquisition, site development, store design, UST, construction, project management, retail fuels, alternative fuels, major oil companies, supply agreements, transportation, maintenance, insurance, compliance and risk controls, hardware (Dresser Wayne, Gilbarco Veeder-Root), software, data security, operations, compliance, DEP, local municipalities, tax, financials, vender management, human resources, accounting, budgeting, forecasting, assessing of existing trends and complying with government regulations in the industry. Steven has been involved in the hydrogen infrastructure discussion for the last two years. Steven’s insight, knowledge, and experience are beneficial to the discussion in developing a consumer infrastructure and bringing hydrogen to consumers. Steven received his BA in Business from the University of San Diego and his MBA from the University of South Florida. Steven resides in Northern California with his wife and his daughter. When Steven is not consulting he spends his time backpacking, fishing, kayaking, and cooking. 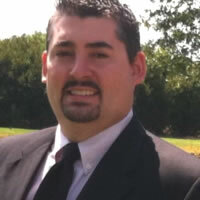 Steven received his BA in Business from the University of San Diego and his MBA from the University of South Florida.